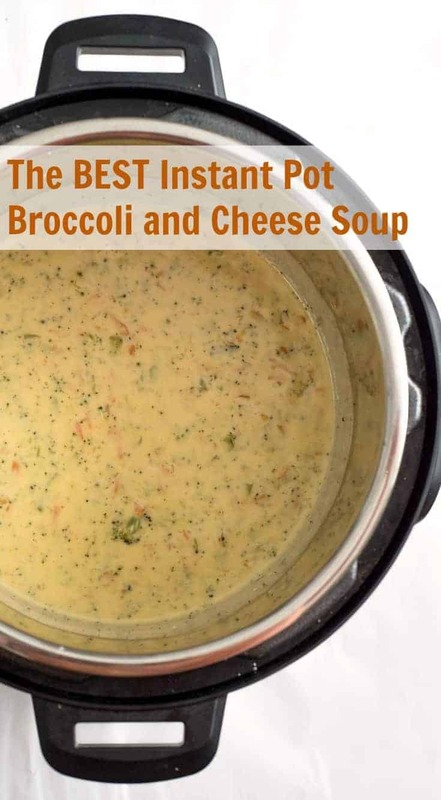 The best Instant Pot broccoli and cheese soup that is extra thick and creamy and the cooking time is only ONE minute! Getting to know my Instant Pot has been a lot of fun (I got the big 8-quart one for Thanksgiving and LOVE it). I still have a ton of new techniques and recipes to try but for the time being, I’m loving what I am doing. I love to make soups in the Instant Pot, as well as things like shredded pork for tacos and sandwiches. It’s also amazing at cooking “boiled” eggs; even fresh eggs that are normally a nightmare to peel come out of the Instant Pot with the shells practically falling off. It is awesome. Today I’m sharing the best soup recipe that we have tried to date. 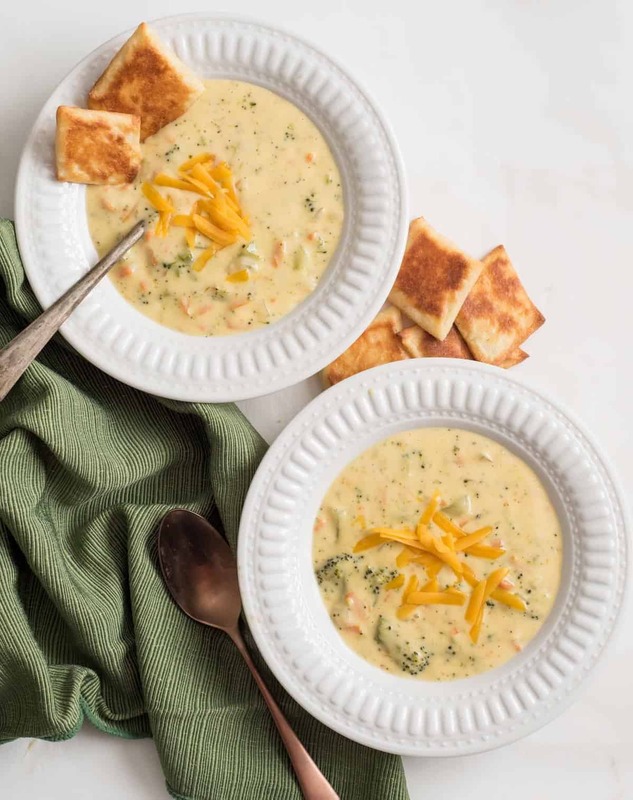 The best Instant Pot broccoli and cheese soup is the stuff soup dreams are made of. It’s rich, thick, and creamy with perfectly cooked veggies and the best texture. 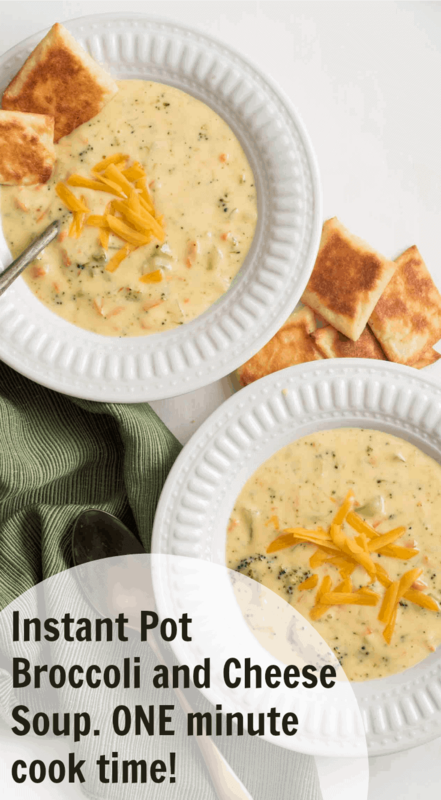 The fun part about using the Instant Pot for this recipe is that it only has a one-minute cook time. How neat is that? This one pot meal will be a huge hit with your family and I can’t wait for you to try it. This recipe comes from a cookbook of a friend. Barbara sent me a copy of her cookbook to review and I’m so glad that she did. I’ve actually given the book as a gift to friends who are new to electric pressure cookers because it’s so full of tried-and-true family-friendly recipes. Barbara and I roomed together at a conference in Austin last spring and she had just turned in the manuscript for this huge cookbook with over 200 recipes. It was such a massive undertaking and she was so proud of it. She is someone who has inspired me to pursue writing a cookbook of my own. I’m so proud of this woman and her cookbook is a great tribute to her years of knowledge when it comes to electric pressure cooking (Instant Pot or any other brand). She’s been using one long before it was trendy and now she’s ready to teach the rest of us. The Electric Pressure Cooker Cookbook: 200 Fast and Foolproof Recipes for Every Brand of Electric Pressure Cooker is one you want on your shelf. Recipe from my friend Barbara Schieving’s fabulous cookbook The Electric Pressure Cooker Cookbook. It’s full of tried-and-true family-favorite recipes and I use it often. If you own an Instant Pot, you need this cookbook. You can use frozen broccoli in place of the fresh, no need to change the cooking time. How easy is that? I know not everyone owns an Instant Pot (yet!) so this recipe can be made on the stove top just as well. Follow the recipe as directed but instead of pressure cooking the veggies, just let them simmer in the broth until tender, about 20 minutes. Then move on with adding the cornstarch, cream, and cheese as directed. The size of the broccoli doesn’t really change when it is cooked so be sure to chop it small enough to be eaten with a spoon after the cooking time is up. I found that a pretty small/fine chop was best when it came to the end texture of the soup. 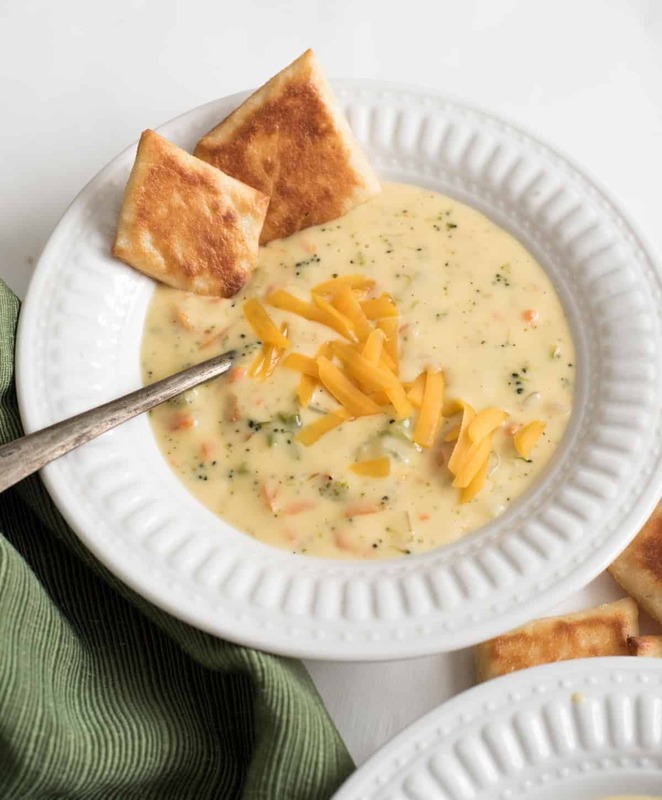 This soup is delicious with our favorite no-knead bread, easy apple cinnamon blender muffins, or even some homemade crackers to go with it. Select browning/saute to preheat the pressure cooker. Add the butter and onion and saute until the onion is tender, about 3 minutes. Add the garlic and cook until the garlic is fragrant, about 30 seconds. Stir in the chicken stock, broccoli, carrots, salt, pepper, and red pepper flakes. Lock the lid in place, make sure the vent is set to seal, and select high pressure and 1 minute cook time. In a small bowl whisk together the corn starch and cold water until smooth. Set the pressure cook to saute/browning and slowly add the corn starch mixture to the pot. Stir constantly until the soup comes to a boil and thickens. Turn off the pressure cooker. Slowly stir in the cream or half-and-half. Add the cheese a handful at a time and stir until it melts. Recipe from my friend Barbara Schieving’s fabulous cookbook The Electric Pressure Cooker Cookbook. 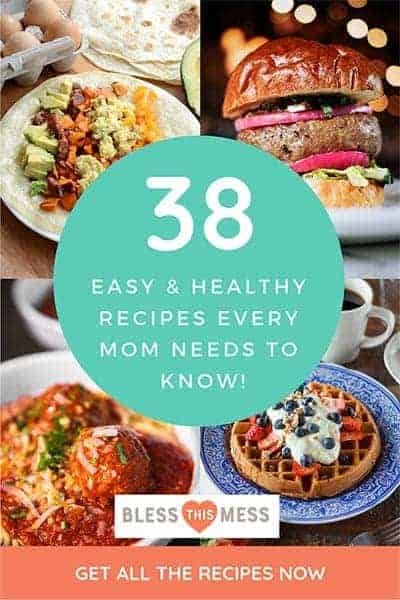 It’s full of tried-and-true family-favorite recipes and I use it often. You can use frozen broccoli in place of the fresh, no need to change the cooking time. How great does that look? My whole family loved this soup and I loved that it was full of vegetables and only took me about 10 minutes of hands-on time to make. I can’t wait for you to check out Barbara’s new cookbook and make this soup! Gasp….drool….I gotta go to the store!!! I absolutely love broccoli and cheese together. This soup looks amazing! Yep, those directions are included in the post! What a website! Love the way you do your presentations. They are perfect for us busy people and leaves more family time…the most important “work” a parent can do! Family! WOW! What presentations! They’re fast, healthy and delicious. They leave time to be with family…the best blessing a parent can give! And the Instant Pot makes it even better! I shared two of the recipes with my friend, and she couldn’t believe how easy they were! 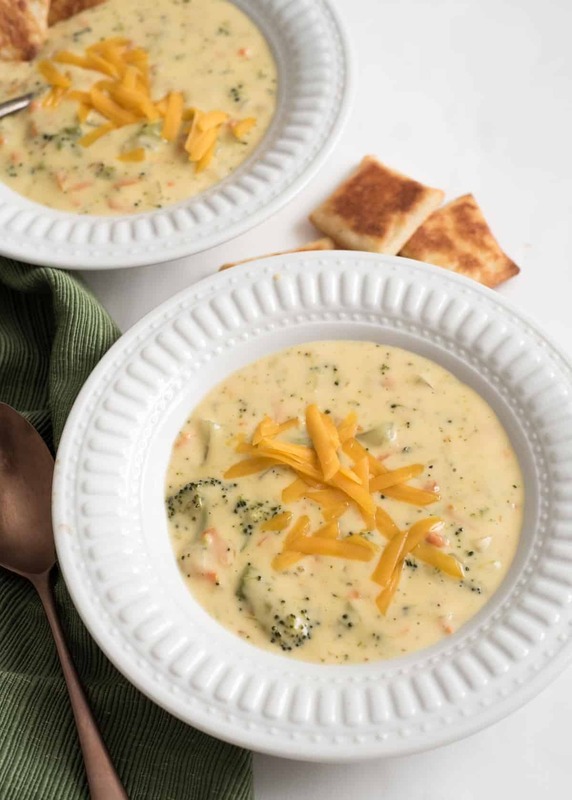 I love broccoli and cheese soup and am anxious to try this recipe. I don’t have an Instapot yet. Best broccoli cheese soup ever!!!! Family fave already…I’ll be making this soup again and again. I so agree! We LOVE this soup and I’m so happy you do too! It says 1 minute cook time. Is that correct? Did you do a natural release or quick release? 1 minute is correct and it’s a quick release which makes this pretty quick! Yes! That would work great and it would be even more creamy. This is a great soup to puree if that’s a texture you love. This was my first recipe I tried after getting an instant pot for Christmas! SO YUMMY! Thanks for the easy to follow directions! I thought I had sorted this site’s recipes for vegetarian recipes and was excited to find this broccoli soup recipe. Unfortunately, I see that it has chicken broth in it. Would it still be good if I used vegetarian broth? If I have it marked as veg/vegan/etc then I made notes on substitutions. You for sure can use veggie broth with great success. Hope you love it! I am making this tomorrow and had a question. What do I do with the garlic? Meaning how do i prep it? Sorry never made this before or any soup for that matter and dont wanna mess it up. Peel it and mince it really well so that it’s just in little pieces and then toss it in when it says. Good luck friend, this is a great recipe to make when getting to know your Instant Pot! Easy and soooo good! There was just enough leftover for my husband and daughter to fight over the next day!! I should have just sneaked it for myself!! Hooray! So glad that you love this recipe as much as we do. ENJOY! This was so good! Can’t wait to make it again. This was great! I used less cheese and used whole milk (lactaid) instead of cream and it was still delicious. Thank you for leaving a great review and sharing your results with using less cheese and milk instead of cream, I’m sure that’s helpful to someone! Hello! I would like to triple this recipe. (For a appetizer tonight). Do I add more time to the cook time(manual setting)? I’m not sure that much will fit in an instant pot, though I do think a double batch would fit just fine and no you won’t need to adjust the cook time. Looks yummy. Can we use pepper jack cheese instead of cheddar ? Yesssss and it’s so good! I just did it a few weeks ago and it was a big hit (and I added a minced jalapeno when I cooked the onion to give it a little more heat)! 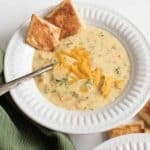 Can this soup be made ahead of time and frozen? Also not a fan of red pepper flakes does it make it hot? You can skip the red pepper flakes if you’d like, they don’t add much heat though that I can tell. I do not know if this can be frozen. I’m afraid the milk and cheese will curdle in the freezer but I haven’t tried it. Will you let me know if you do? Super delicious! Even the kids went back for seconds! Yay! Any meal the kids like is worth making! I’m so glad they did! Thank you! And thanks for coming back to leave a review, that’s so helpful for my site and business! 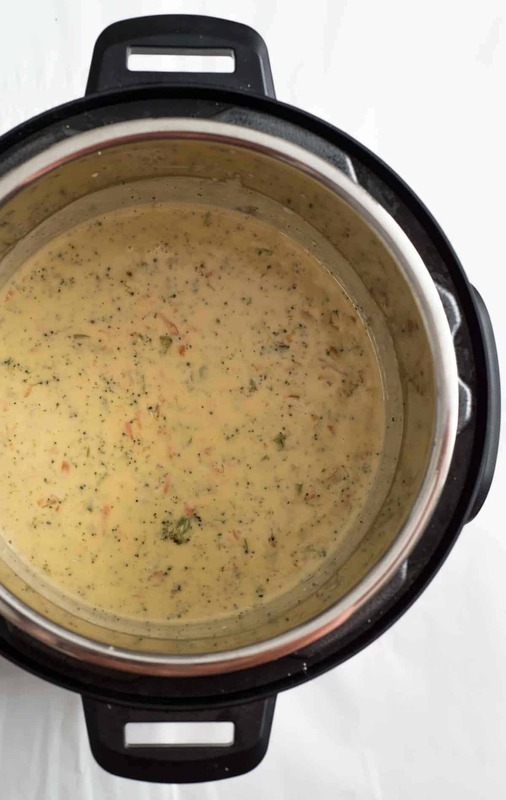 I only have a 3qt instant pot, can this recipe be made in my 3qt pot? Yep, should fit just fine! You might have a little trouble at the end adding all of the cream, but it’s already cooked, so it’s not like you have to keep it below the max fill line then (does that make sense? I can explain more). I can’t wait to hear how you like it! My recipe came out a little liquify. Should I add my corn starch? Yep, the cornstarch should thicken it up nicely, if you’d like it a little thicker, increase the cornstarch and water slurry by 50%! Loved the recipe! The only thing I’ll do different next time is add more broccoli. Every bite my fiancé ate he would remark how good the soup was. I will deffinetly be making this recipe often. SO glad you loved it as much as we do! ENJOY! Would you recommend a mild, medium or sharp cheddar? Not really sure what the taste differences are in these cheeses. I always like a sharp cheddar and it’s always what I buy. If you are new to sharp cheddar I’d get a medium to try. Mild had no flavor in my opinion and I never buy it. I dont have any half and half.Could I use heavy cream in place of it? Yesssss and it’s so delicious. I did that last week and it’s fabulous. Is it 1 minute after it starts boiling or after you close the lid? It’s a one minute cook time once the Instant Pot or pressure cooker comes to pressure, it’ll count down when it’s ready if you set the time for one minute. Does that make sense? 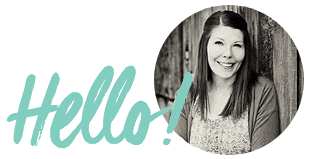 Holler if you need more help! Made this tonight and it is absolutely delicious! Very tasty! However, the 1/4 c cornstarch slurry did little to thicken it. I’m used to the Panera Bread version. I’m going to try taking out about 1 to 1 1/2 c next time, use my stick blender and add it back in. That always seems to help in other soups without adding too much corn starch to change the taste of the soup. Thanks for the recipe! Great suggestion! I love that idea, so creamy! I made this delicious soup last night. We thought the amount the of carrots made the soup a little sweet so next time I think I’ll cut back a cup on them. Other then that it is a great soup. I will differently make it again. This soup was great!!!! Easy and quick. I will be making this soup a lot. So glad you liked it, we make it over and over again too! I rarely write reviews, but had to comment on this one! This soup tastes just like Panera’s bread and I can’t believe how easy it was to make!! Thank you so much for such an awesome recipe!! So glad you liked it and thanks so much for coming back to leave a review, I appreciate that! Wow. Awesome. I added 1 cup of cauliflower to it and add a little more stock. It tastes fantastic. Thanks. Yesss I actually love a little cauliflower in it too! So easy and delicious! I’d give it 10/5 if I could. Took one taste out of the pot and caught myself sneaking back for more several times. Definitely my new go to. Love how it sneaks in extra veggies too! Woohoo! This is so great! ENJOY!